You knew it was coming right? 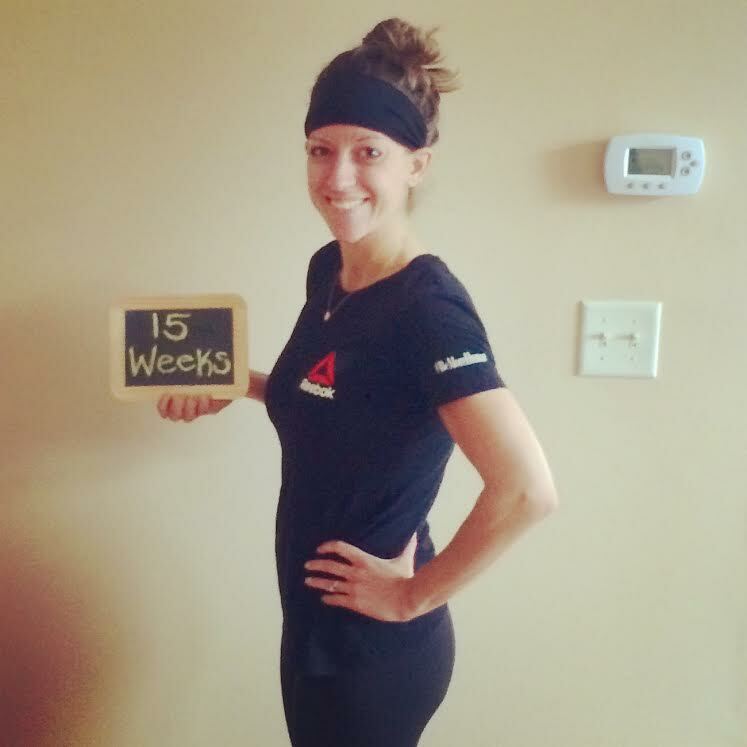 I have bored you with talk of wedding planning, training for marathons, balancing a healthy lifestyle, career etc…..it was only a matter of time before you got a full blown preggo post. I promise there will not be many of these as I will have many more things to write about in coming months. However, being as I am a first timer to this whole experience it is BLOWING MY MIND YOU GUYS. As of today I am 15 weeks pregnant! For those of you who were like me and thought it was odd that pregnancy measurements were in ‘weeks’, that means I am almost 4 months along. But I totally get the week by week thing now, because every week is truly a victory. First Trimester was a little rough for me. I cannot complain too much however, because I only got physically sick once. Just random bits of nausea here and there when I needed to force myself to eat (not much of an appetite), so I am VERY thankful for that. However, the exhaustion and the emotions have been a force to be reckoned with. I thought going to bed at 9pm every night in my normal life was bad, but for weeks I could barely make it past 6pm. Sometimes I would go home, eat dinner and then just go straight to bed. And that is if I didn’t have an end of day emotional breakdown first that caused me to cry myself to sleep. Not kidding…ROUGH. The roller coaster of emotions and anxiety has been the hardest for me. There should be a support group for husbands who have to manage this, or at least a warning in your wedding vows. From the moment I found out I was pregnant I have had overwhelming feelings of anxiety and worry that something bad was going to happen, that this beautiful gift could potentially be taken away from me or that I did not deserve it. I went through every possible scenario in my head until it made me sick. Sometimes it was enough to send me into panic attacks that caused me to have to leave work. Luckily, that has gotten a little better. I have also struggled with some general depression, especially from weeks 6-10 and had a hard time shaking that. It it is not as frequent now, but still creeps up on me. Apparently these are all common things some women go through during pregnancy that I was so NOT ready for. Lastly, my workouts could be summarized in two words, slow and WEAK. For now, the girl that could run a marathon or throw 130 pounds over her head is taking a little vacation and is being replaced by girl who has to catch her breath after walking up a flight of stairs. As much as I wanted to take a break until I got my energy back, I kept at my workouts and threw some yoga in too, I just had to take it extra slow. This was a little tricky to explain to my fellow gym peeps since they didn’t know what my deal was yet. Luckily, I have been nursing an upper body injury so I was able to do some different workouts due to that and not make it as obvious. 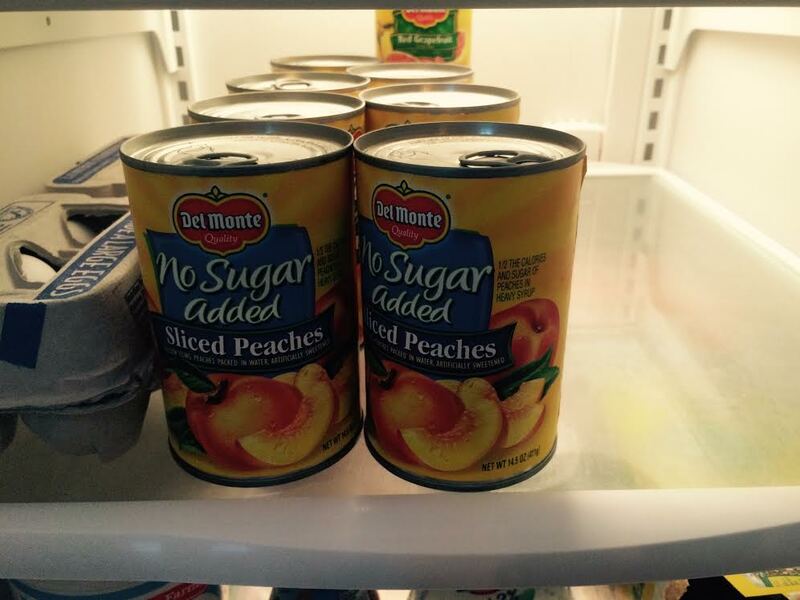 Current pregnancy craving: canned peaches. But they MUST be cold. Pregnancy is weird. However, as of the last two weeks I can honestly tell you that for the first time in months I finally feel like myself! This is so refreshing, I was starting to worry that having no energy and being depressed and anxious all the time was my new norm. NO THANK YOU. My energy is back, my workouts feel great (but still taking it down a notch don’t worry) and overall my happy demeanor has returned. I even felt baby flutters the other day, SO AWESOME! Surprisingly, I have not gained a single pound yet BUT let’s just say things have… shifted. The abs I had are officially gone and are being replaced by this weird little pooch that sticks out…doesn’t really look like a bump at all…just looks like I ate too much ice cream or something. Can’t wait for it to look like something is really growing in there! This entry was posted in Pregnancy, Uncategorized and tagged 15 weeks, Fit Pregnancy, Pregnancy, Pregnant by jbures. Bookmark the permalink. Continue to keep your journal. It will help you on your next pregnancy. Oh is that too soon. Anyway it is a good way to visualize with words what you a r e experiencing. I love that you a r e continuing your workouts. I just road my bicycle and mowed the lawn for my work outs.